Kat Bae developed her interest for Positive Organizational Scholarship while working in non-profit organizations focused on inner city development in Chicago as well as conducting research in affect psychology (e.g., facial expressions, psychophysiology). She is particularly interested in positive emotions and interpersonal relationships at the work place. Bae’s ultimate goal as a positive organizational scholar is to help explore ways in which employees and organizations can thrive. 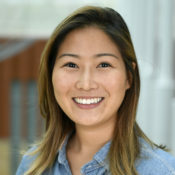 Prior to joining the Management & Organizations PhD program at Michigan Ross, Bae studied psychology at Northwestern University, and completed an honors thesis on positive facial expressions in the Life-Span Development Lab.